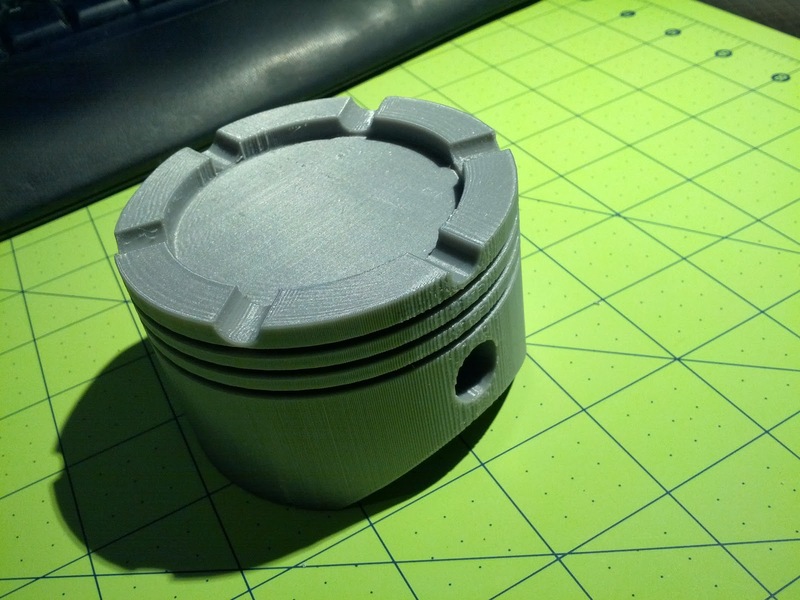 dbclunie: 3D Printing : Grocery Bag Holder and a Ash Tray Piston! 3D Printing : Grocery Bag Holder and a Ash Tray Piston! Two more things a friend wanted prints of. The first is an piston ashtray @ 200 micron layer 235c and 115c hpb, 25% infill supports and raft as it printed on its side. Print head speeds were cut in half. Apparently its a gift for another friend. The filament is 3d2print's "Silver" which is more of shiny gray. 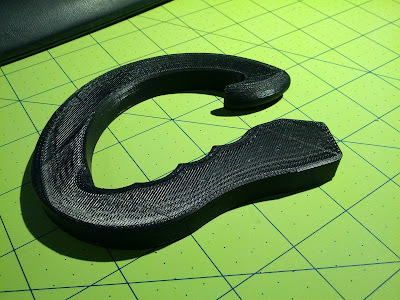 The second items was a grocery bag holder @ 300 micron layer 235c and 115c hpb, 35% infill for structural intergreity, and printed it at full print head speeds. This is a gift for my friends girl friend. The filament is 3d2print's Black.